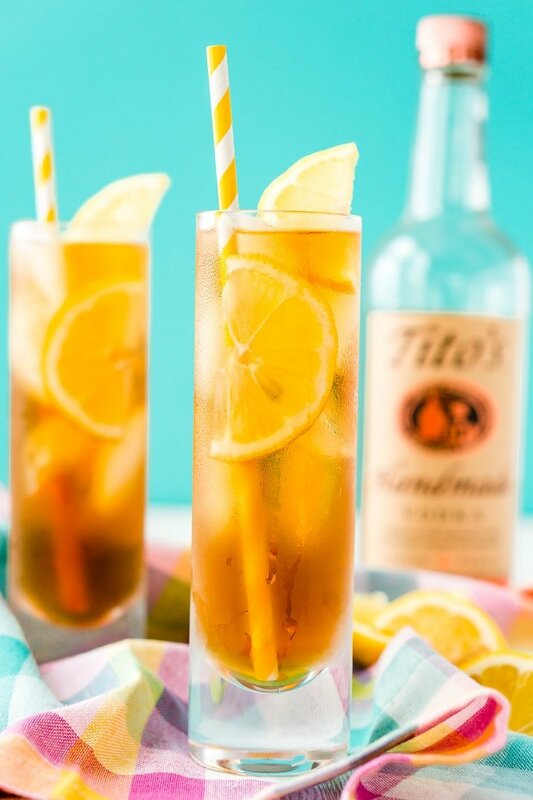 Sweet Tea is a Southern Staple in the heat of summer, make it the traditional way or spike it with vodka for a refreshing cocktail. Sweet Tea, which is basically iced tea that’s sweetened with sugar, is a cold, refreshing, delicious drink. It’s no wonder that this classic beverage is so popular in the South, where the temperatures can really soar! But when Happy Hour rolls around, you can turn this thirst-quenching tea into a yummy cocktail with a splash of vodka! 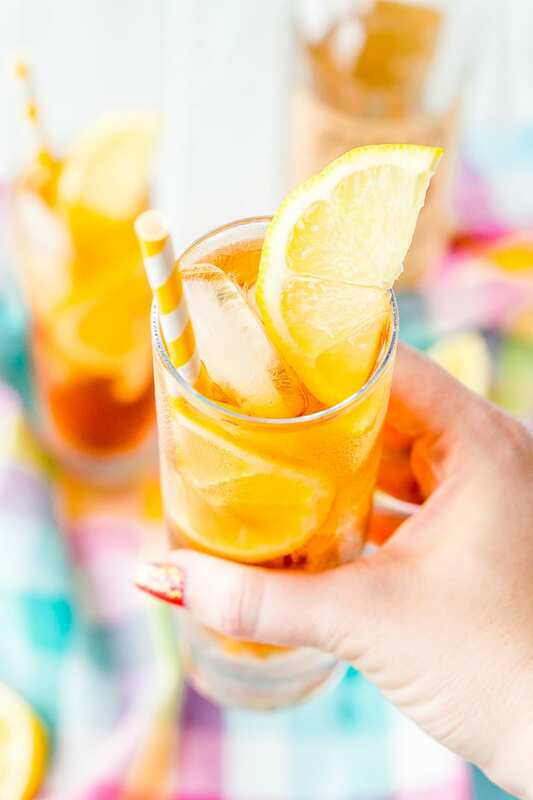 This classic iced tea recipe is made in large batches to fill a pitcher to serve at summertime barbecues and get-togethers. It will remain good for a couple of days so if you’re not throwing a party, feel free to keep it in the fridge just for you to sip on! Hosting a summer shindig? Consider making a few batches of this drink to serve alongside those burgers and macaroni salad! 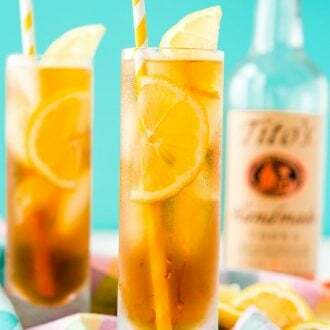 Bridal showers are another great celebration for this drink and absolutely delicious paired with lemon bars and key lime pie! You can even flavor your Sweet Tea recipe by adding a squeeze of lemon juice, sprigs of mint, peach nectar, or homemade raspberry syrup. And if you’re pressed for time, you can always buy sweet tea by the bottle and spike it at home. It’s all in the name: sweet tea is sweetened iced tea, made extra delicious with a generous dose of sugar or simple syrup. It can be enjoyed plain, but it’s often enhanced with summery flavors like peach, raspberry, lemon, or mint. PRO TIP: A lesser-known fact is that some people add a little baking soda to the pitcher so it’s less acidic. Are Sweet Tea and Iced Tea the Same Thing? 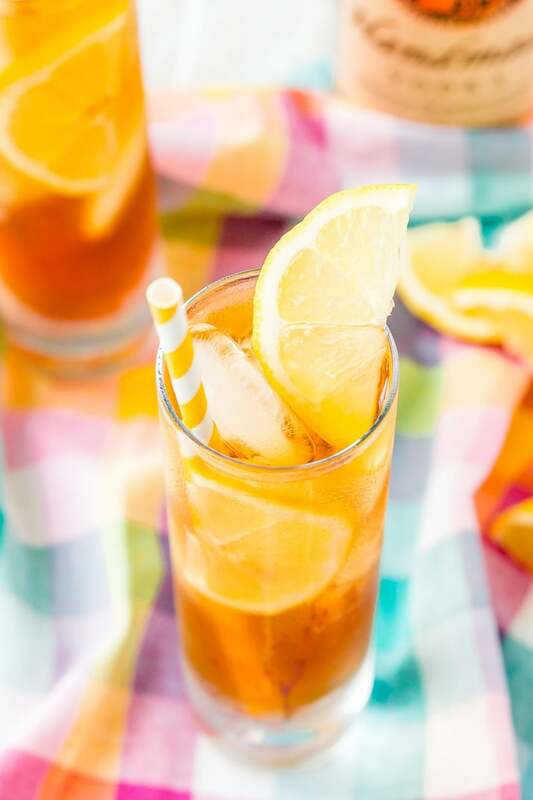 Unlike traditional iced tea, which is simply brewed or steeped tea served cold and over ice, sweet tea is served pre-sweetened! The sugar is added after the tea has been brewed, so the final product doesn’t appear cloudy. This tea has become a traditional favorite drink in the Southeast region of the USA, where summers can get very hot. How Do I Make Southern Sweet Tea? 1. Start with a sprinkle of baking soda in a 64-ounce heat-resistant glass pitcher. 2. Then, add 4 cups of boiling water, followed by 12 tea bags. Allow the tea to steep for 15 minutes. 3. Next, remove the tea bags (these can be discarded). 4. Add ¾ cup of granulated sugar, and stir until it’s dissolved. Finally, pour in the remaining 4 cups of cool water and refrigerate until the sweet tea is cold. Serve over ice, garnish with lemon slices and mint sprigs. 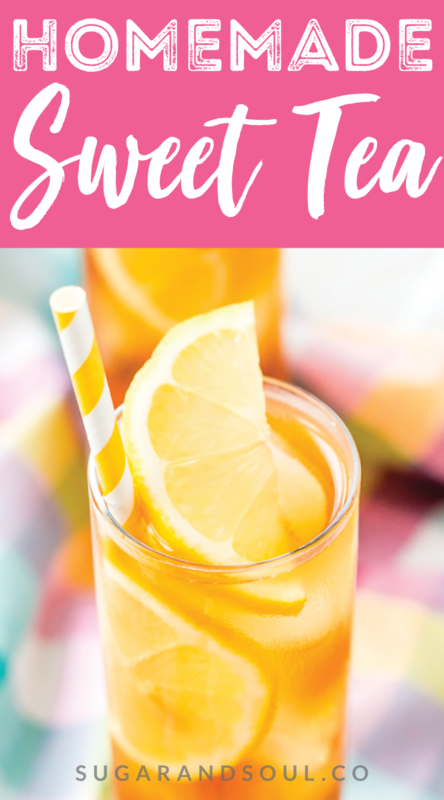 Pin this Sweet Tea Recipe for Later! Bring 4 cups of water to a boil. While the water is heating, add the tea bags and baking soda to a heat-proof glass pitcher. Once the water has come to a boil, pour it into the pitcher and let the tea steep for 15 minutes. Remove the tea bags from the pitcher and discard. Stir in the sugar until dissolved. Stir in the remaining 4 cups of cold water and the vodka (if including) and transfer to the fridge to chill. Serve with lemons slices and ice.